A 3D platformer in the vein of the original Jak and Daxter or Ratchet & Clank that wouldn’t have been out of place releasing right next to them in the early 2000s. 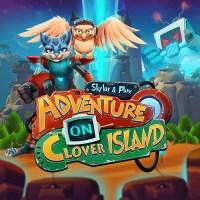 Play as silent cat person Skylar accompanied by chatty owl Plux and platform through diverse areas collecting pickups, fighting enemies, and solving the occasional puzzle. The story is paper-thin and can be safely ignored, though it’s harder to ignore the slightly-too-common dialog which mostly comes from Plux or the main villain and hovers in the area between mediocre and cringe-worthy. Keeping Skylar silent was a good move. The game is short for its genre - maybe four or five hours, depending on how much of a completionist you are. But the result is a tight focus with no filler (aside from an unfortunate grindy achievement). The platforming is solid and the world satisfying to explore. The environments - including grassy hills, tropical beaches, snowy peaks, icy caves, sandy deserts, and more - are beautiful, although the world and characters have a strangely plastic toy-like quality reminiscent of the Disney Infinity games. The soundtrack is gorgeous and I really wish I could buy it - please tell me if you know of a way to do so! Scattered throughout the game and also found in certain breakable objects are orange crystals that serve as the main collectible. These are dual-purpose - they can be spent to free captured natives (which serve as the hidden collectible as their cages tend to be off the path and can be found through exploration) but they are also the health pickup, each one restoring a fraction of a hit point. Thus, if you’ve taken damage, you can almost always find some crystals to heal up and there’s an additional reason to collect them despite there being far more than you need to free all the natives. This is great mechanical synergy, although perhaps less wise is that freeing the natives increases your max health. Enemies don’t get any stronger throughout the game, so combat is far more dangerous early on which creates some regressive difficulty (magnified by a late-game ability to grab and throw around enemies as well as their projectiles which renders combat trivial). This creates some frustrating moments in the first hour or two, but it’s not really a problem later as the platforming and exploration are much more important and enjoyable than the combat anyway. Unfortunately, the game is broken. For some number of players, including the KeenGamer reviewer and me, the mirrors required for a late-game laser-redirection puzzle are simply absent and it is impossible to complete the game’s final area. It’s unclear to me whether the PC version is affected, but as of this writing the Xbox One version may or may not be fixed (they released a patch but some players have reported the mirrors now face the wrong way and the puzzle still can’t be solved) and no patch has been released for the PS4 version (which is what I have). It’s not known what causes the bug and the only suggested fix is to reinstall the game and start completely over, so it’s unfortunate the issue occurs so late in the game. At this point several months have gone by with no communication from the developers on this subject, so the game seems unlikely to ever be repaired. I cannot recommend the game in this state where you might not be able to finish it - I will happily update this review in the unlikely event that they do fix it. I Stopped Playing When: Halfway through the game’s final area, I hit the game-breaking bug and could not progress further. I tweeted at the developer asking about a fix and received no reply. I’d been enjoying the game until then, but I was not interested in starting all over with no guarantee that would allow me to avoid the bug this time. So I put the game down.